Spring is a fresh start to the New Year as April showers rinse away the dust and grime of winter and give life to beautiful blossoms in our gardens. But if jaw pain causes you to detach from the beauty of the season, it may be time to visit your Novato dentist office. 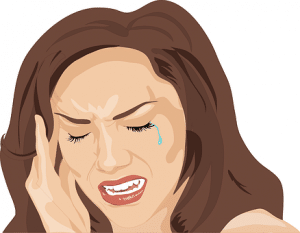 TMJ or TMD, What is It? TMJ stands for Temporomandibular Joint. When your temporomandibular joint hurts, the pain is commonly called TMJ Pain, or TMD, Temporomandibular Joint Disorder. Inflammation of the joint causes pain to radiate towards the ear area and to the cheek. Our Novato dentist is trained to identify and diagnose TMJ issues so we can arrange the best oral treatment plan for you. Headaches are noticeable upon waking. Genetics and some forms of arthritis are other factors that we’ll discuss during your oral history and exam. Through our thoroughness, we’ll work through the issues and discuss possible treatment options. Give your mouth a rest from chewing. Stick with soft foods and refrain from chewing gum. Use cold and warm compresses. Alternate warm and cold in order to reduce the joint inflammation (cold compress) and ease the pain (warm compress). 20 minutes on and 20 minutes off with each will often ease the symptoms for a bit. Get a facial massage. Increased blood flow results from a massage. Using your fingertips, apply gentle, circular motions to the joint area. Change your sleep routine. Wind down with some light reading before bedtime or a calming bath. Try sleeping on your stomach or back rather than your side. These solutions will not cure TMD, but they will help you get a restful night’s sleep and ease the pain for a bit until you can get into our Novato dentist office for an appointment. We will treat your TMJ pain with an action plan that permanently removes your pain or manages the pain in extreme cases. Don’t think that TMJ issues are a pain you have to live with. Let us help you resolve your situation with our Preventative Dentistry options. For more information regarding TMJ issues and oral health care, visit us on Facebook and give our office a call to schedule an appointment.